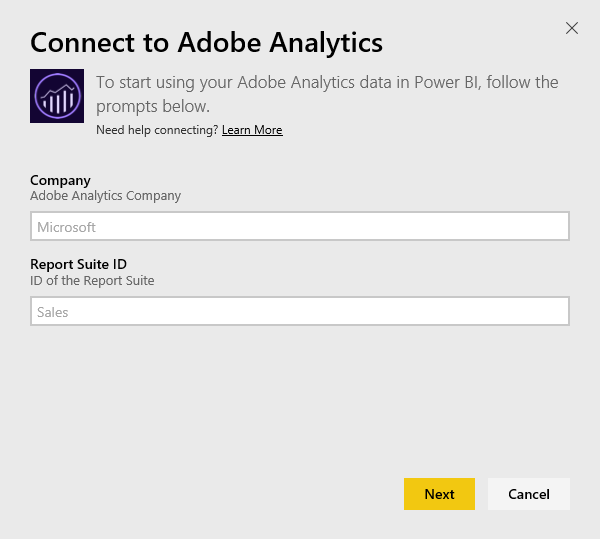 Das Herstellen einer Verbindung mit Adobe Analytics über Power BI beginnt mit dem Verbinden mit Ihrem Konto für die Adobe Analytics Marketing Cloud.Connecting to Adobe Analytics through Power BI starts by connecting to your Adobe Analytics Marketing Cloud account. 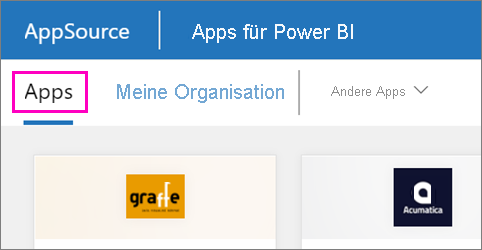 Sie erhalten eine App mit einem Power BI-Dashboard und einer Reihe von Power BI-Berichten, die Erkenntnisse zum Datenverkehr Ihrer Website und zu Benutzerdimensionen bieten.You get an app with a Power BI dashboard and a set of Power BI reports that provide insights about your site traffic and user dimensions. Die Daten werden automatisch einmal täglich aktualisiert.The data is refreshed automatically once per day. Sie können mit dem Dashboard und den Berichten interagieren, jedoch keine Änderungen speichern.You can interact with the dashboard and reports, but you can't save changes. 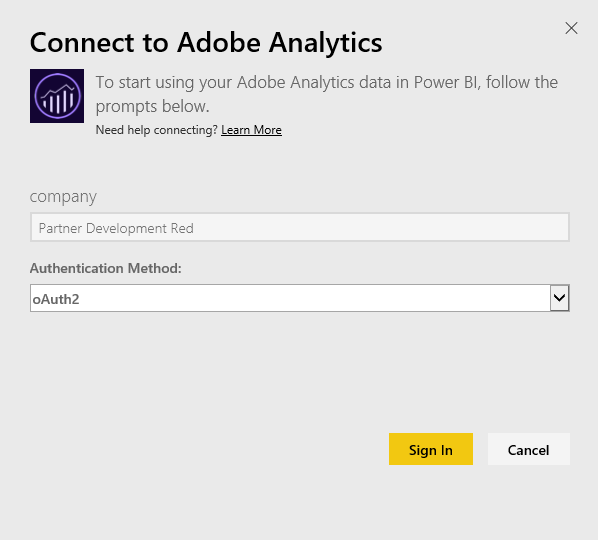 Stellen Sie eine Verbindung mit Adobe Analytics her, oder erfahren Sie mehr über die Adobe Analytics-Integration in Power BI.Connect to Adobe Analytics or read more about the Adobe Analytics integration with Power BI. Wählen Sie im linken Navigationsbereich Apps und dann in der oberen rechten Ecke Apps abrufen aus.Select Apps in the left navigation pane > select Get apps in the upper-right corner. Wählen Sie in AppSource die Registerkarte Apps aus, und suchen Sie den gewünschten Dienst.In AppSource, select the Apps tab, and search for the service you want. 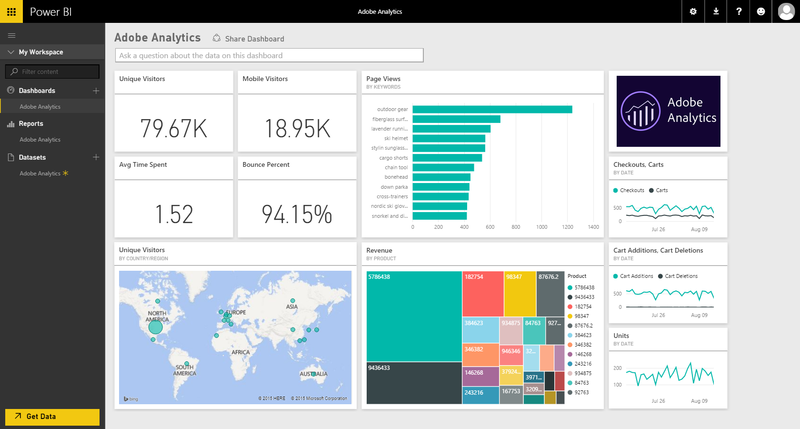 Wählen Sie Adobe Analytics > Abrufen aus.Select Adobe Analytics > Get. 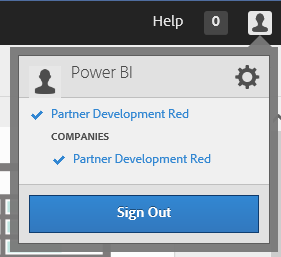 Power BI stellt eine Verbindung mit einem bestimmten Adobe Analytics-Unternehmen und einer Berichtssuite-ID her (nicht mit dem Namen der Berichtssuite).Power BI connects to a specific Adobe Analytics Company and Report Suite ID (not the Report Suite name). Unten finden Sie Einzelheiten zum Suchen dieser Parameter.See details on finding those parameters below. Wählen Sie als Authentifizierungsmethode die Option oAuth2 > Anmelden aus.For Authentication Method, select oAuth2 > Sign In. 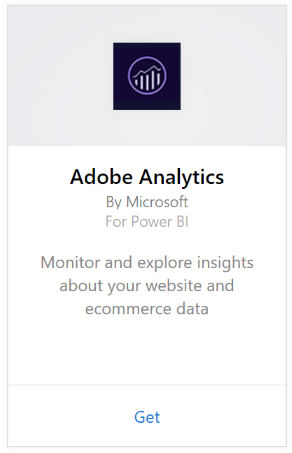 Geben Sie auf die Aufforderung hin Ihre Adobe Analytics-Anmeldeinformationen ein.When prompted, enter your Adobe Analytics credentials. 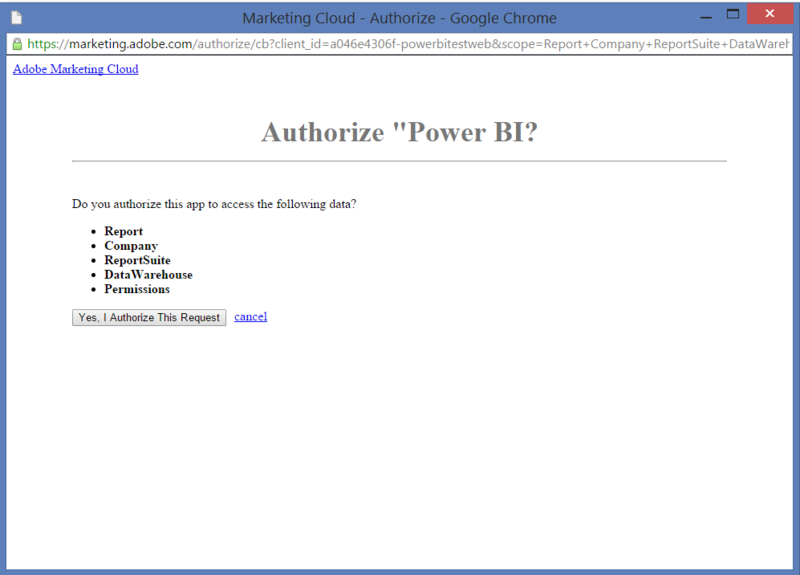 Klicken Sie auf Akzeptieren , um Power BI den Zugriff auf Ihre Adobe Analytics-Daten zu erlauben.Click Accept to allow Power BI to access your Adobe Analytics data. Nachdem Sie zugestimmt haben, startet der Importvorgang automatisch.After you approve, the import process begins automatically. Wenn der Importvorgang abgeschlossen ist, wird die neue App auf der Seite „Apps“ angezeigt.When the import is complete, the new app will appear on the Apps page. 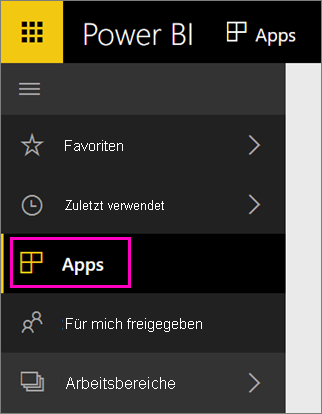 Wählen Sie im linken Navigationsbereich Apps und dann die App aus.Select Apps in the left navigation pane > select the app. Sie können eine Frage im Bereich für Fragen und Antworten stellen oder auf eine Kachel klicken, um den zugrunde liegenden Bericht zu öffnen.You can ask a question by typing in the Q&A box, or click a tile to open the underlying report. Versuchen Sie, am oberen Rand des Dashboards im Q&A-Feld eine Frage zu stellen.Try asking a question in the Q&A box at the top of the dashboard. Wählen Sie eine Kachel aus, um den zugrunde liegenden Bericht zu öffnen.Select a tile to open the underlying report. Sie können die Daten im Bericht filtern und hervorheben, jedoch keine Änderungen speichern.You can filter and highlight the data in the report, but you can't save your changes. Für das Dataset ist tägliche Aktualisierung festgelegt.Your dataset is scheduled to refresh daily. Sie können jedoch das Aktualisierungsintervall ändern oder es über Jetzt aktualisieren nach Bedarf aktualisieren.You can change the refresh schedule or try refreshing it on demand using Refresh Now. metrics="cartadditions", "cartremovals", "carts", "cartviews", "checkouts", "revenue", "units"metrics="cartadditions", "cartremovals", "carts", "cartviews", "checkouts", "revenue", "units"
metrics="bounces", "bouncerate", "visitors", "visits", "uniquevisitors", "totaltimespent", "pageviews"metrics="bounces", "bouncerate", "visitors", "visits", "uniquevisitors", "totaltimespent", "pageviews"
metrics="cartadditions", "cartremovals", "carts", "cartviews", "checkouts", "revenue", "units", "visits", "uniquevisitors", "pageviews", "bounces", "bouncerate", "totaltimespent"metrics="cartadditions", "cartremovals", "carts", "cartviews", "checkouts", "revenue", "units", "visits", "uniquevisitors", "pageviews", "bounces", "bouncerate", "totaltimespent"
metrics="bounces", "bouncerate", "visitors", "visits", "uniquevisitors", "totaltimespent", "cartadditions", "cartremovals", "checkouts", "revenue", "units", "pageviews"metrics="bounces", "bouncerate", "visitors", "visits", "uniquevisitors", "totaltimespent", "cartadditions", "cartremovals", "checkouts", "revenue", "units", "pageviews"
Search Engines KeywordsSearch Engines Keywords elements= "searchengine" "searchenginekeyword"elements= "searchengine" "searchenginekeyword"
metrics="bounces", "bouncerate", "visitors", "visits", "entries", "uniquevisitors", "totaltimespent", "cartadditions", "cartremovals", "carts", "cartviews", "checkouts", "revenue", "units", "pageviews"metrics="bounces", "bouncerate", "visitors", "visits", "entries", "uniquevisitors", "totaltimespent", "cartadditions", "cartremovals", "carts", "cartviews", "checkouts", "revenue", "units", "pageviews"
Search Engine to ProductsSearch Engine to Products elements= "searchengine", "product"elements= "searchengine", "product"
Geocountry PagesGeocountry Pages elements= "geocountry" (Top 20), "page"elements= "geocountry" (Top 20), "page"
Geocountry ProductGeocountry Product elements= "geocountry" (Top 20), "product"elements= "geocountry" (Top 20), "product"
metrics="bounces", "bouncerate", "visitors", "visits", "entries", "uniquevisitors", "totaltimespent", "cartadditions", "cartremovals", "carts", "cartviews", "checkouts", "revenue", "units"metrics="bounces", "bouncerate", "visitors", "visits", "entries", "uniquevisitors", "totaltimespent", "cartadditions", "cartremovals", "carts", "cartviews", "checkouts", "revenue", "units"
metrics="bounces", "bouncerate", "visitors", "visits", "uniquevisitors", "totaltimespent", "pageviews", "cartadditions", "cartremovals", "checkouts", "carts", "cartviews"metrics="bounces", "bouncerate", "visitors", "visits", "uniquevisitors", "totaltimespent", "pageviews", "cartadditions", "cartremovals", "checkouts", "carts", "cartviews"
Zugriff auf Adobe Analytics wird benötigt, einschließlich des Zugriffs auf die nachstehend beschriebenen ordnungsgemäßen Parameter.Access to Adobe Analytics is required, including access to the correct parameters as described below. Den Wert „Unternehmen“ finden Sie oben rechts in Ihrem Konto, sobald Sie angemeldet sind.The Company value can be found in the top right of your account once you're signed in. Bei dem Wert werden Groß-/Kleinschreibung und Leerzeichen beachtet.The value is case and spacing sensitive. Geben Sie ihn genau so ein , wie er in Ihrem Konto angezeigt wird.Enter it exactly as you see in your account. Die Suite-ID wird beim Erstellen der Berichtssammlung erstellt.The Suite ID is created when the Report Suite is created. Sie können sich an Ihren Administrator wenden, um den ID-Wert zu ermitteln.You can contact your administrator to identify the ID value. Es handelt sich nicht um den Namen der Berichtssuite.This is not the Report Suite name. Wenn Sie nach Angabe Ihrer Anmeldeinformationen eine Fehlermeldung erhalten, der zufolge Sie keine Berechtigungen haben, stellen Sie gemeinsam mit Ihrem Administrator sicher, dass Sie Zugang zur Adobe Analytics-API haben.If you're seeing an error after providing your credentials indicating you do not have permissions, confirm with your admin that you have access to the Adobe Analytics API. 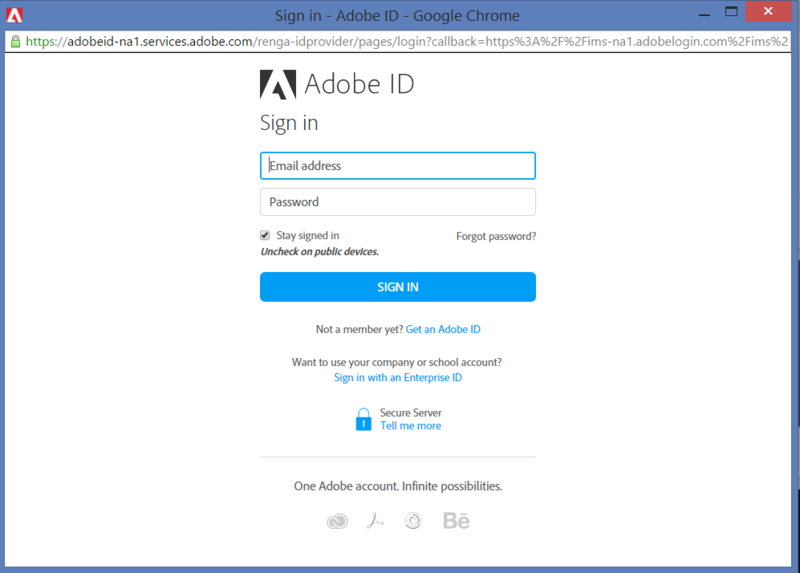 Vergewissern Sie sich zudem, dass die bereitgestellte Adobe-ID mit Ihrer Marketing Cloud-Organisation (zugeordnet zu einem Adobe Analytics-Unternehmen) verknüpft ist.Also confirm the Adobe ID provided is linked to your Marketing Cloud Organization (associated to an Adobe Analytics company). 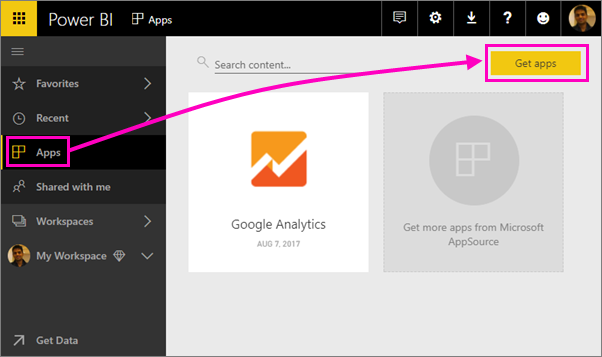 Was sind Apps in Power BI?What are apps in Power BI?